As a woman working in the environmental sciences, it was always obvious to me that most of my colleagues are men. This tended to focus my attention on surviving in a field in which I automatically contribute to diversity just by being there. Recently though I stopped to consider what I could do to support diversity. For the first time, I thought seriously about how my own choices were influencing gender balance. I decided to take a critical look at the gender representation within my own academic portfolio, paying particular attention to projects I led. These are the ones where I had substantial agency in selecting who would be invited to join a research project. I then asked a simple question: how many women have I invited to work with me? The answer is: not many. My gender-biased CV is, frankly, embarrassing. I can count on a single hand the number of women I have invited to collaborate with me on publications and grants. Of my peer-reviewed publications in which I was lead author, 96% of my co-authors are men. On publications in which I was co-author, 77% are men. The first woman I invited to co-author a publication was in 2015, four years after completing my Ph.D., and eight years after publishing my first manuscript. Since then, I have published with only two other women. All of the co-investigators on my research grants are men. Yup, I actually haven't shared a single research dollar with a female colleague. The answer, I believe, lies with awareness and concern for others. It simply did not occur to me that I could or should play an active role in shaping my professional community. My discipline (environment) is clearly male-biased, as is my research field (ecology of large carnivores). A quick search on Google Scholar for the keywords of my research area brings up publications almost exclusively written by men. So it's no surprise that my immediate community of collaborators are men. To create a more diverse community, I would need to actively reach out. Success in science is about more than the individual. Science is a highly collaborative field. Academic careers are made, not only by the projects we lead, but also by the projects we are invited to collaborate on. In this way, the work of science lends itself to a feminist ethic which appropriately highlights the importance of community and relationships. I believe in institutional targets and quotas. I also believe in individual commitments. I am committed to increasing the diversity of my personal academic community. To do this, I have begun the slow journey of bringing more academic women into my community. 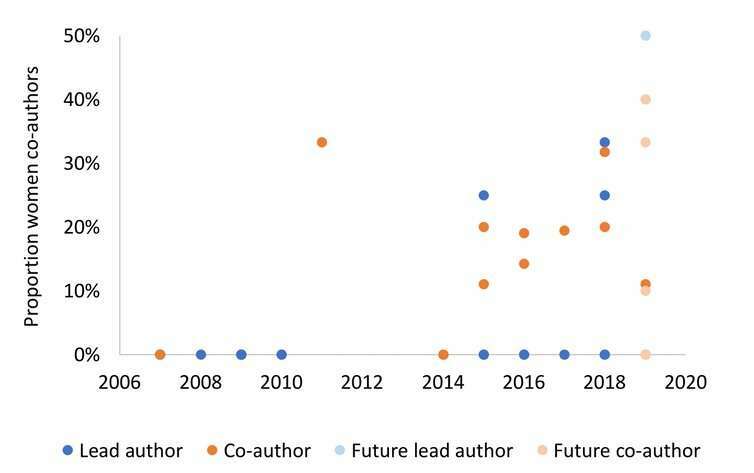 I am pleased the gender balance in my peer-reviewed publications is starting to show signs of change. Of course, there are other important forms of inclusion and diversity to be mindful of, including race, ethnicity, nationality, identity, and religion. Inviting women, and other underrepresented peoples, to participate in research projects and scholarly activities is something all academics can do, whether as Ph.D. students or professors. As another way to improve diversity, academics based in rich countries can reach out to academics from countries that have less access to research funds, or forge new international relationships. Even in less collaborative fields and projects, we can pay attention to who we are citing in scholarly publications. This is important because citation counts are an important measure of academic success. Incorporating marginalised peoples in our professional communities may feel risky, particularly for early career researchers. After all, it is often necessary to work with well-established academics to develop, and at this point in time most in this category are men. 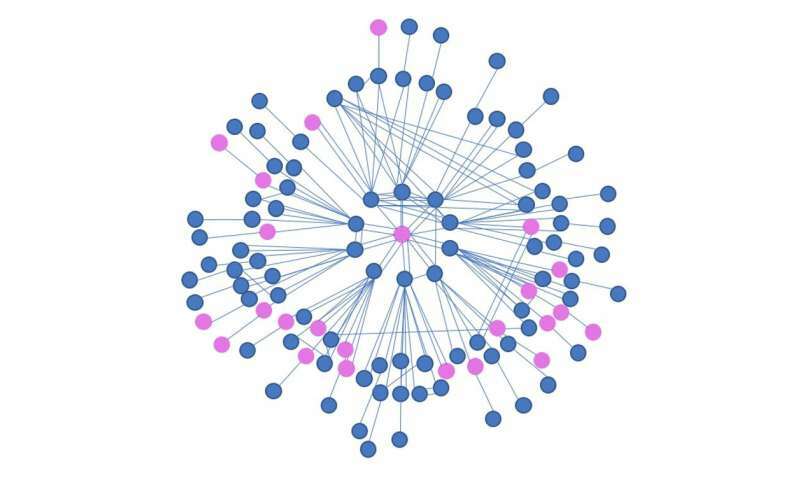 In order to enhance diversity in our professional communities we need not exclude existing colleagues and experts, we need only start to actively expand our network to be more inclusive. The benefits for institutions and for science in having diverse views, experiences, cultures, and backgrounds is well known. It is similarly valuable for individual creativity, critical thinking, and innovation. Teams with more women are collectively smarter. I cannot say whether my CV is uniquely lacking in diversity. Some areas of science, technology, engineering, maths and medicine (STEMM) are more male-biased than others. But I suspect I am not unusual. There is a long way to go before science becomes a project that truly belongs to all of humanity. But it seems to me that if we all pay more attention to how we form our professional communities, in a way that is attentive to structural inequities, we can change things a lot more quickly.